Kleos Space has signed a contract with US orbital launch provider Rocket Lab to launch the first of its satellite constellation to monitor and locate radio signals from ships. Kleos, a Luxembourg-based company that listed on the Australian Securities Exchange last month, hasn’t specified how many satellites will be aboard the initial launch. But eventually the constellation will number 20, geolocating maritime VHF transmissions. That allows accurate location of vessels in distress, as well as those not broadcasting Automatic Identification System (AIS) signals. Kleos said that would allow governments and organisations to detect activity such as drug and people smuggling, illegal fishing and piracy, as well as identify those in need of search and rescue at sea. The initial launch of what Kleos calls the Kleos Scouting Mission in mid-2019 will be aboard an Electron Rocket from Rocket Lab’s Launch Complex 1 in New Zealand. Kleos’ satellites are being built by Danish company GomSpace. Kleos said the satellites will be integrated into Rocket Lab’s in-house designed and built Maxwell dispensers and deployed from the Electron kick stage into low Earth orbit. Rocket Lab’s unique kick stage, powered by the 3D printed Curie engine, is designed to circularise small satellite orbits and perform complex manoeuvres, including multiple engine burns, to deploy many satellites into different orbits. This provides unmatched mission flexibility, making it ideal for deploying and replenishing constellations. “Rocket Lab’s technology provides us with the flexibility we need to grow our satellite constellation and respond to the demanding market needs. We are thrilled to launch our first satellites with a new space company which meets our business philosophy,” said Kleos Space chief executive Andy Bowyer. “Our technology will provide accessible and commercial solutions to respond to global concerns regarding surveillance, intelligence gathering and defence issues. Rocket Lab CEO Peter Beck said small satellite technology like that of Kleos Space was increasingly playing a vital role in informing decisions on the ground that protect people and the environment. 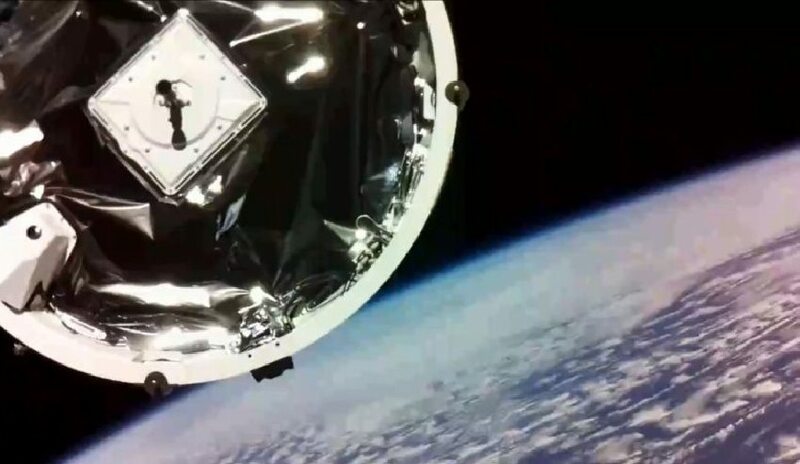 “We’re thrilled to be partnering with Kleos Space to provide them with the rapid and reliable access to orbit needed to build and replenish small satellite constellations,” he said. Rocket Lab is a US company with a New Zealand subsidiary. The company conducted trial launches of its Electron rocket from its facility on the Mahia Peninsula on New Zealand’s North Island in May 2017 and January this year. The first commercial launch will likely occur later this year.